The 2009 Open is set for Saturday August 29 and Sunday August 30. We will have two courses as usual with two rounds on Saturday and one round on Sunday. The signup form is below. Just click on it, print it, and mail it in with your money so you can play. Go to http://www.titledisc.com/node/1800 and you can register online. And if you are interested in our SPECIAL tournament disc, check out it out below. We plan on ordering only 50 of them and they will cost $25. All proceeds go towards concrete tee pads for the remaining holes. 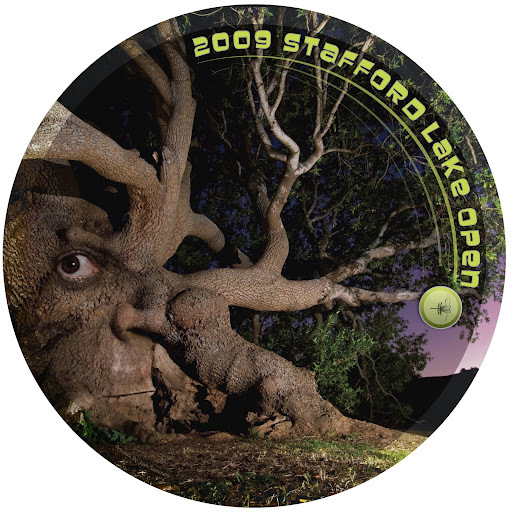 If you are interested in reserving a disc, please send an email to stafford.lake@gmail.com and we'll try and set one aside for you.